Tech‐savvy, analytical, creative, and collaborative problem solvers to join a team committed to working together. You commit to giving our team your all – and we’ll commit to giving you a place to grow and succeed. 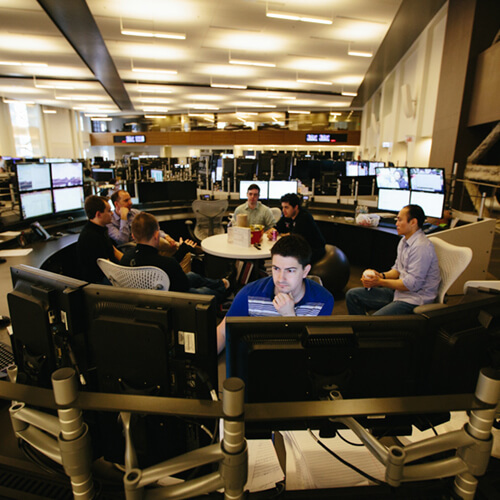 Our Technology team builds and operates a proprietary trading platform that allows us to compete in today’s markets. Our platform spans everything from infrastructure to custom application software. It is the product of collaboration with the Trading and Quant teams, and with many external partners and vendors. CTC actively trades in a broad spectrum of asset classes including equities, fixed income and commodities. Today our teams work primarily in our own space - a former trading floor that's now a busy hive of collaboration where our traders, quants, technologists and operations teams work together to solve the toughest problems our markets have to offer. The Quant team supports the various Trading disciplines through the application of the scientific method, strategy generation and the pricing of financial derivatives. CTC considers the role of quantitative research vital to a dynamic trading environment and places a high value on integrating Quants directly into our trading operations. Our Operations team is comprised of various functions spanning Finance and Accounting, Legal and Compliance, Technology Business Management, Human Capital, and Office Services. Collectively, Operations is instrumental in ensuring the firm’s financial, legal, and regulatory integrity, an atmosphere of mutual respect and collaboration, and a continuous learning environment. We win when we pull together. Our strength comes from the curiosity, ingenuity, and determination each of us brings to work every day. Our competitive advantage comes from our commitment to each other. It’s not just that people at CTC showed me the ropes. They also took the time to show me where to get the best lunch specials on any given day, helped me get to know the neighborhood. We're a team, and that doesn't stop after the closing bell rings! There's a buzz around this place. It’s something intangible, when you’re all brainstorming, spending days trying to tackle a tough problem. You really start to feel like you’re part of something. The work here is challenging, and the people aren’t easily satisfied. In other contexts, that might be a bad thing. But at CTC, the team — and the teamwork — make going to work exciting, rewarding, and stimulating. There’s always a new problem to solve. At CTC, we hire the whole person, not just the one who shows up to work during the day. That’s why we offer best-in-class benefits that support you inside and outside the office, including free breakfast and lunch (plus healthy snacks, of course), onsite biometric testing, and fitness center membership. Sound like the team for you? Are you passionate about using your financial knowledge to navigate complex challenges? Do you love thinking analytically? Do you enjoy using data and analytics tools to tell a compelling story? Are you excited about uncovering insights and value through your love for data mining? Are you naturally curious and won’t stop until you get to the root-causes of the business performance? Are you looking to build your skillset by contributing to a critical system responsible for real-time risk and P&L information at a competitive options trading firm? 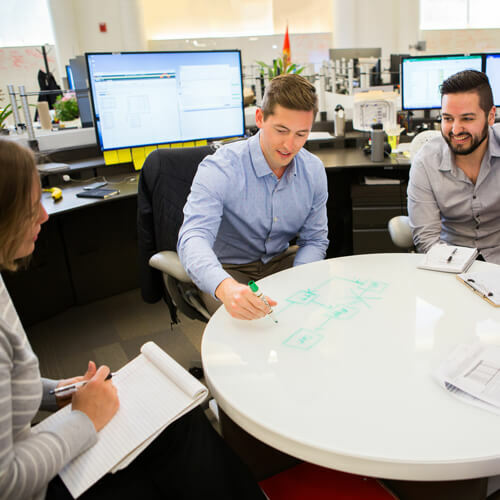 Our group is responsible for producing, delivering, and analyzing risk data for all products at the firm..
Are you a software engineer who is passionate about building high performance trading systems? 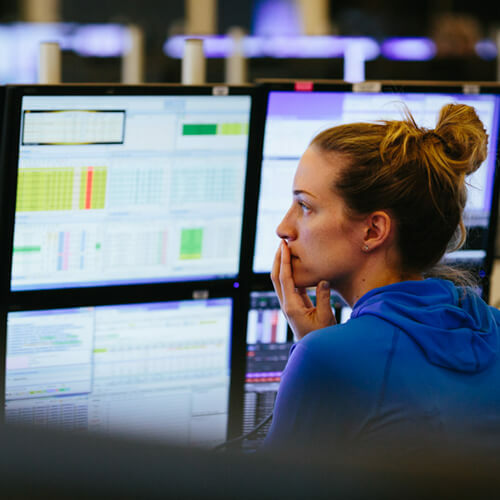 Would you like to explore new ways to improve our execution capabilities for some of our most automated trading strategies? CTC is seeking a Senior Software Engineer for our Emerging Businesses group. Are you a test automation engineer who is passionate about the rapid testing and releasing of software? Do you want to have a large impact on the quality of the software used by our traders and risk managers? Would you like to explore multiple testing methodologies and strategies?